Victor Barlow first laid eyes on the Pontiac Trans Am as a high school freshman in Columbus, Georgia in 1973. He fell in love instantly and knew that he had to own one. By the time he was a senior, Victor had saved enough money to buy his dream car, and in the spring of 1976, a brand new Pontiac Trans Am was his. Victor loved his car and after high school, when he enlisted in the Air Force, his beloved Trans Am was part of the move. While stationed at Kirtland Air Force Base in Albuquerque, NM in 1981, his transmission failed. So, Victor took his car to a nearby AAMCO service center where he had his transmission rebuilt for about $700. 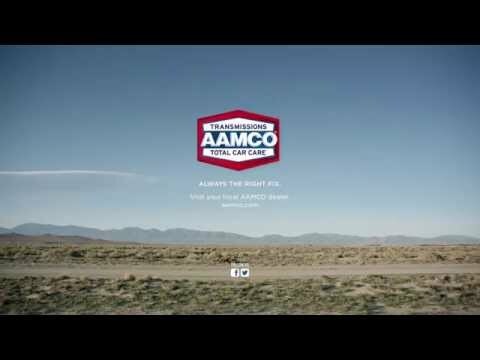 Over the years, Victor’s Air Force career took him all over the country: Oklahoma, Tennessee, South Carolina, Alabama and Georgia, and in each place, he was able to find a convenient and friendly AAMCO center to have his transmission’s Annual Recheck service. Victor has put over 110,000 miles on his AAMCO rebuilt transmission over the last 31 years, and during this time he’s never had any further problems with his transmission. Today, Victor still has his 1976 Trans Am. Even though he doesn’t drive it every day, it’s still running great. He gets it detailed every year on his birthday as a gift to himself.